Directions: Throw together with some olive oil and black pepper and bake in oven at 350 for an hour. For me this will make 2 servings I will serve with a side salad. 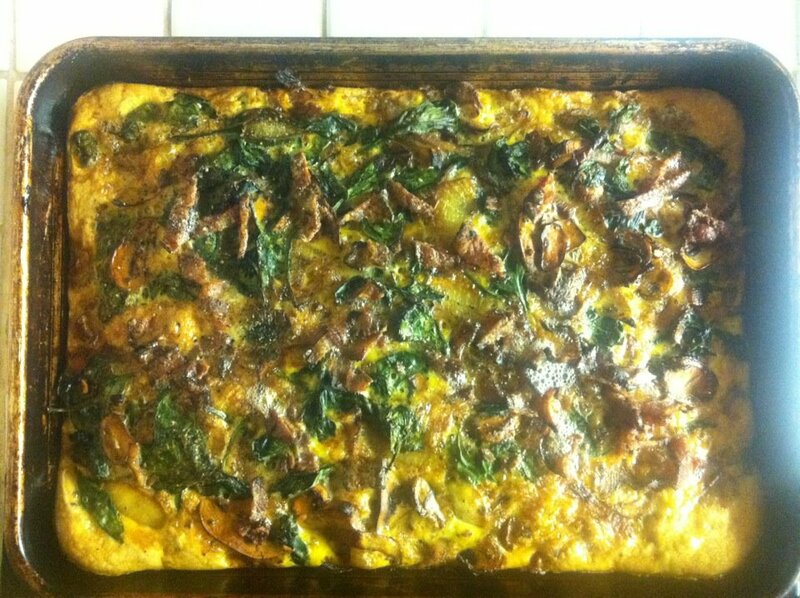 I used a the recipe for “Green Eggs and Turkey” from Paleo Comfort Foods as a guide and made an awesome frittata. Directions: Cook bacon, set aside. Use same fry pan and brown chicken. Keep as much bacon fat in there as you desire. Lay chicken out in a greased pan. (My pan is about 8×10). Caramelize onions and mushrooms, add garlic. I put a glug of balsamic in there. Add basil. Put three good handfuls of raw baby spinach in the pan, cook until a bit wilted. Pour that on the chicken, chop up the bacon and sprinkle on top. Whisk the eggs and pour it over everything. Bake for 45 min @ 350 degrees. I did the rib-eye sous-vide to get perfect edge-edge medium rare (I normally like rare, but my wife likes something a bit more done) and quickly seared it afterwards with a really hot cast iron pan. 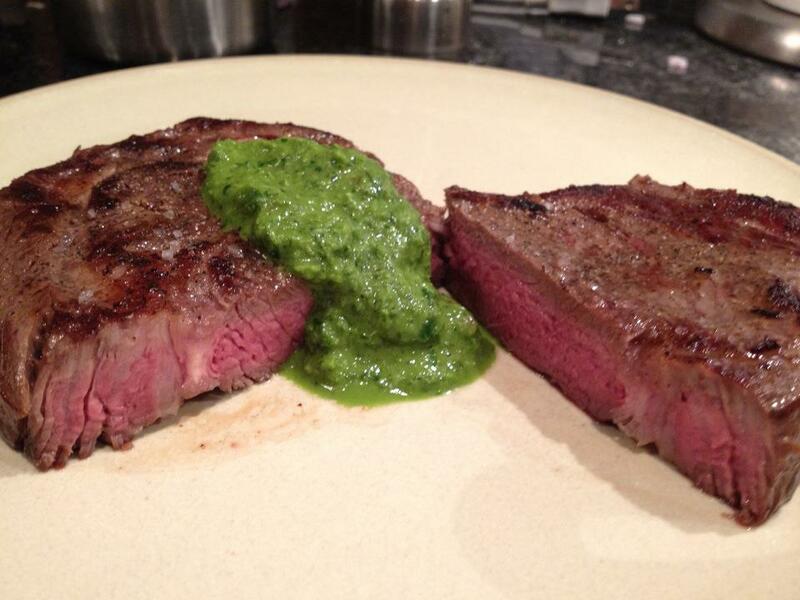 My take on Chimichurri sauce. This is an amazing Argentinian style sauce that goes great on all meats. – 1 tsp aleppo pepper or chilli pepper flakes. Directions: Mix together and smother. I like my chimichurri really tart so sometimes I’ll add more vinegar or lemon juice. Summer: Jack competed in his first weightlifting competition this past weekend, Winter Lift, and did really well. I’m thinking this masterpiece has something to do with it. Congrats Jack!! What started as a hunger pang during studying led to an hour of improv in the kitchen, as I chopped, sauteed and fried my way to my very own version of Southern Shrimp grits (from Paleo Comfort Foods). 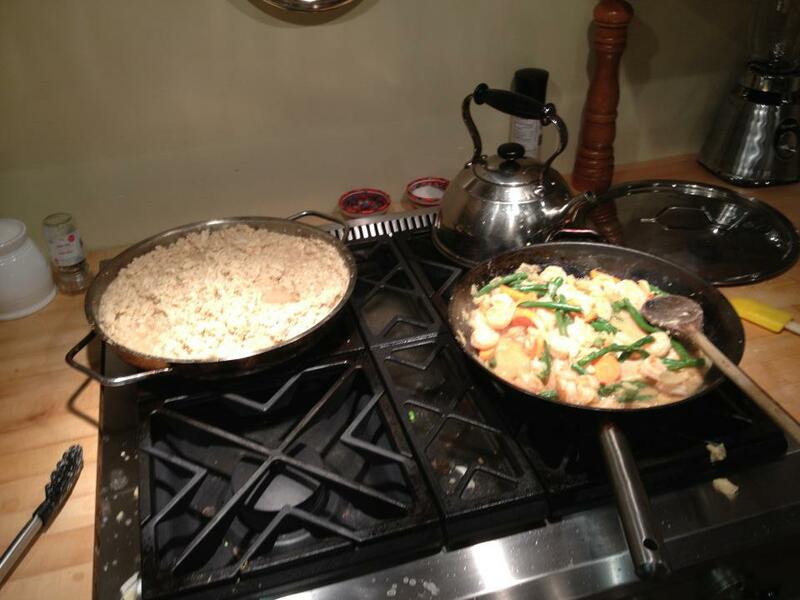 Oh, I also tripled the ingredients for the rice. I’m loving the batch cooking. 3. 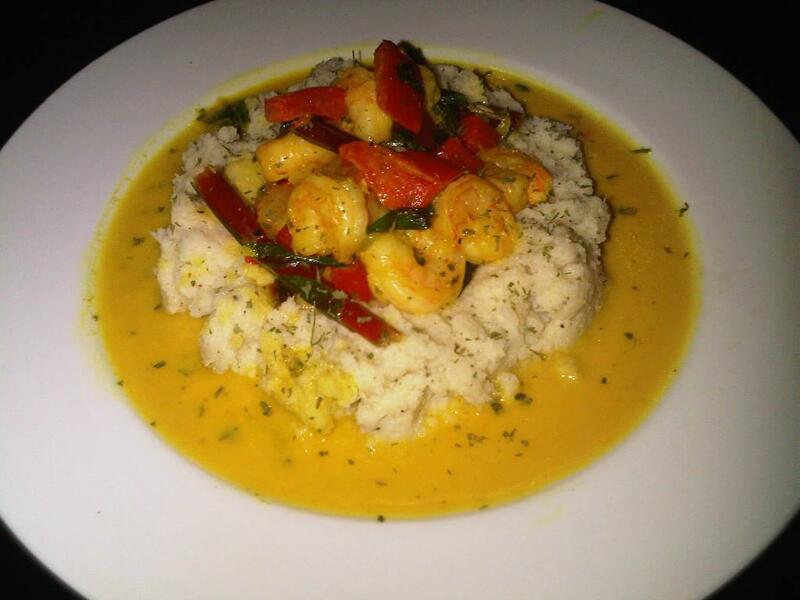 Coat shrimp with flour in a bowl, set aside. 6. Simmer for 5 minutes. I wanted to share my method for hard boiled eggs since i actually steam them and i have never gone back to boiling. I find steamed eggs have a much more tender white, easier to perfect the yolk to your liking, and rarely ever crack. I also find they are much easier to peel. ring the water to a boil then place your steamer filled with eggs [or in my case just a metal colander] over the water and cover. set a timer for 12 mins. place a large bowl in the freezer to get good and cold. you will use this bowl for the ice bath. at the 10 mins mark take the bowl out, fill with super cold water and a bunch of ice. at 11 mins, turn the burner off and remove the lid from the steamer. at 12 mins remove the eggs and place in the ice bath. this timing makes fully cooked eggs with just a small bit of creamy, slightly undercooked yolk in the centre. if you like your yolk completely cooked dry then add another minute or two to the cooking time. This method will yield consistent results every time. Here’s how to get super creamy delicious scrambled eggs without cheese! this is one of my fave ways to cook eggs. it takes a little patience but so well worth the effort. Directions: crack however many eggs you want into a bowl and stir them gently to combine the yolks and whites. 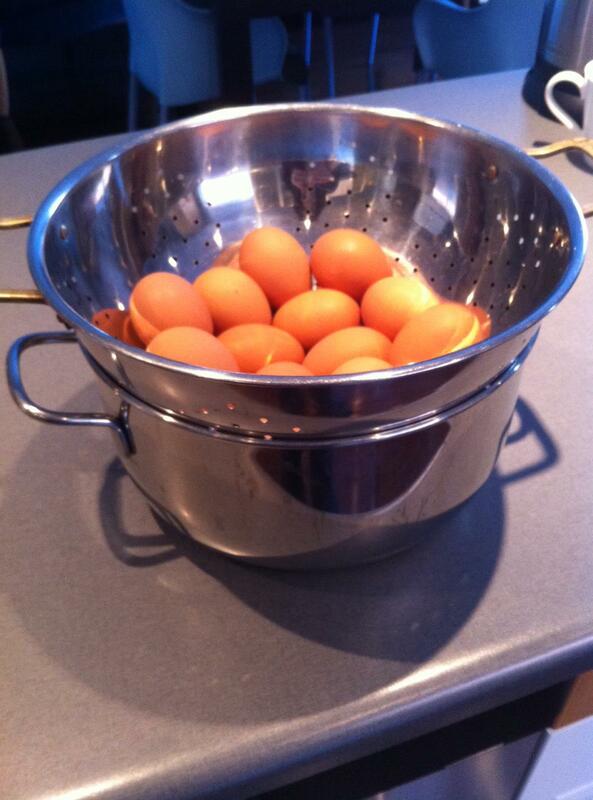 resist the urge to beat them, this only toughens them up and is better for omelettes etc. so mix gently. pour eggs into a low heat pan with a bit of your choice of melted fat [butter, ghee, lard etc.]. then stir the eggs in the pan as often as you have the time and patience for. the longer you take to cook these eggs, the lower the heat, and the more you stir them, the creamier they will be. i usually take 15 – 20 mins to cook these eggs while my bacon roasts up in the oven. 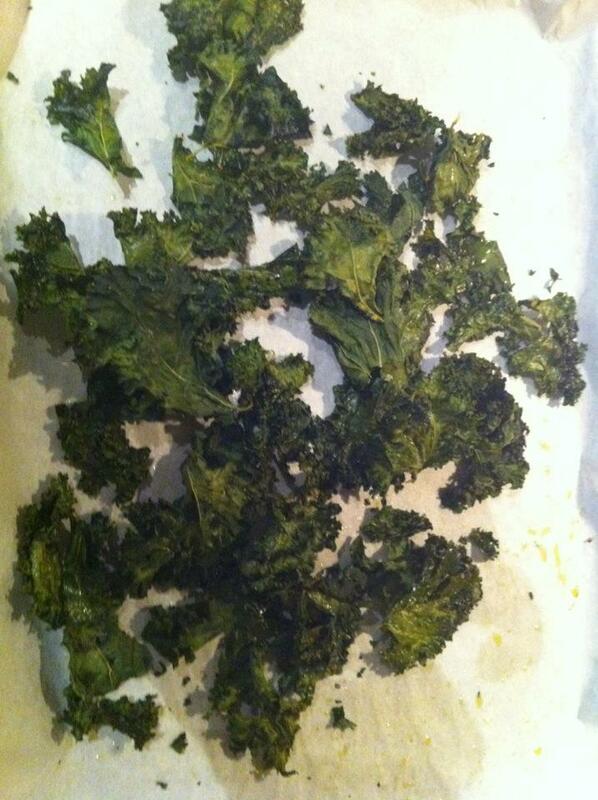 then take them out of the pan just before they are completely dry. all formed and cooked but still a little “wet” looking. i swear these eggs will be so creamy you won’t believe it! My all time favorite veggie is rapini. And I cook up a double batch of it every week so I eat it 2 or 3 times. I actually crave its awesome bitterness when I have been less than clean with my diet. A typical cooking method is to sautee. But you know me and I like to do things a little different 🙂 I like to oven roast my rapini as I do with pretty much every veggie I cook. So this is how I do it. Directions: Chop off the bottom 2-3 inches of stalk then roughly chop the rest in 2-3 inch pieces. Spread out on a parchment lined baking pan. Drizzle olive oil, kosher salt and pepper then toss to coat. Roast in a hot oven about 425 degrees for 10-15 mins. 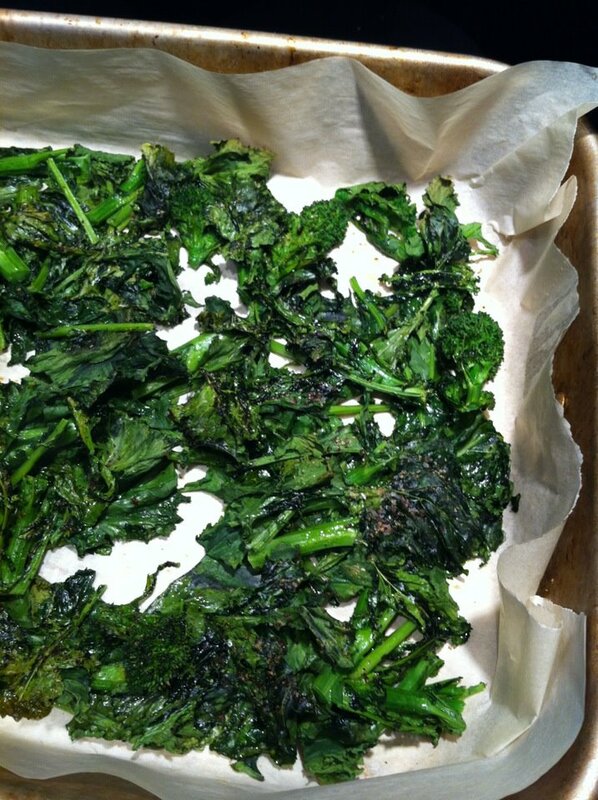 When you pull it out you’ll see you have several crispy rapini chips from the leaves sitting on top and the rest will be tender roasted yumminess. Tastes great still at room temp if you’re like me and have to eat lunch in the car sometimes. And I love it for breakfast. That’s it for this week. Stay tuned for the riveting conclusion to the GET REAL challenge next week! 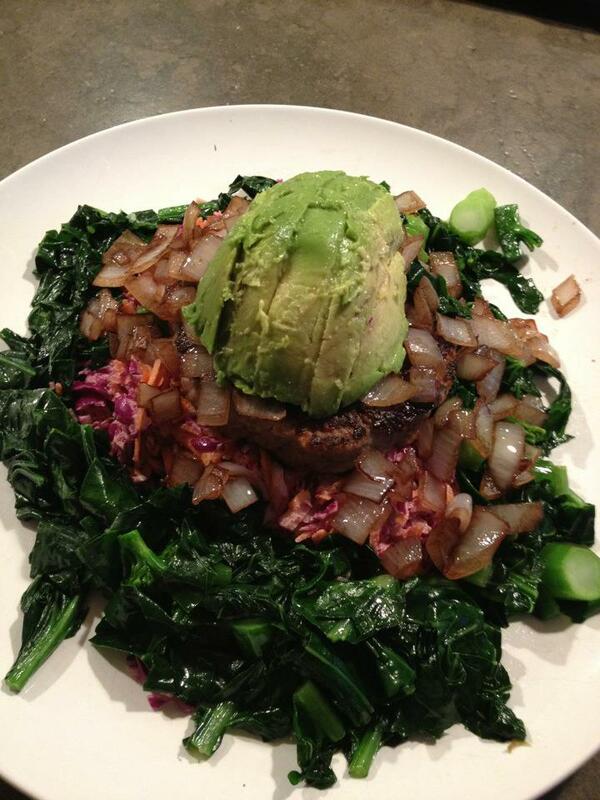 Last week we had some awesome recipes from the Quantum CrossFit GET REAL Challenge. It seems like people are getting more gourmet by the week! We’ve got some serious winners in this week’s recipe round-up. Enjoy! I’m starting with 3 different creations from Jodi….apparently she is gunning for Top Chef Paleo edition and/or to be my personal chef. Rub the roast with olive oil and season on all sides with salt and pepper. 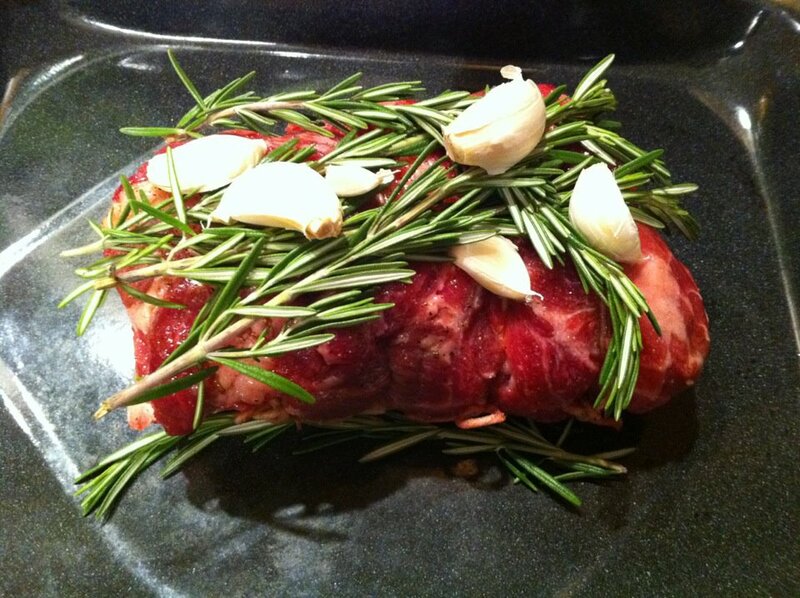 Place roast in pan and top with remaining garlic and rosemary. Cover roast with tin foil and place in oven. Immediately turn oven down to 325. Walk away and come back 3 hours later. Remove from oven and take roast from pan. Leave to sit on cutting board and cover with foil to let set. Pour fat from roast pan and add almond flour and stock to pan on stove top. Scrape the bottom of the pan to get all the drippings to be part of the gravy and bring to simmer. Add capers, and mint (up to you how much to add) and reduce over low heat. The roast will shred super easily and then serve with gravy over top. aka: The way to Summer’s heart. I started by laying out the onions in the bottom of the slow cooker. In a bowl, mix together the finely chopped shallots, garlic, tamari, maple syrup, cinnamon, allspice, ginger and black pepper. Cut the ribs into individual pieces and place in a zip lock bag. Pour seasoning mix into bag and seal bag and squish bag around to cover the ribs entirely with the sauce. Empty contents of Zip lock bag into slow cooker on top of base of quartered onions. Top with sliced shallots. 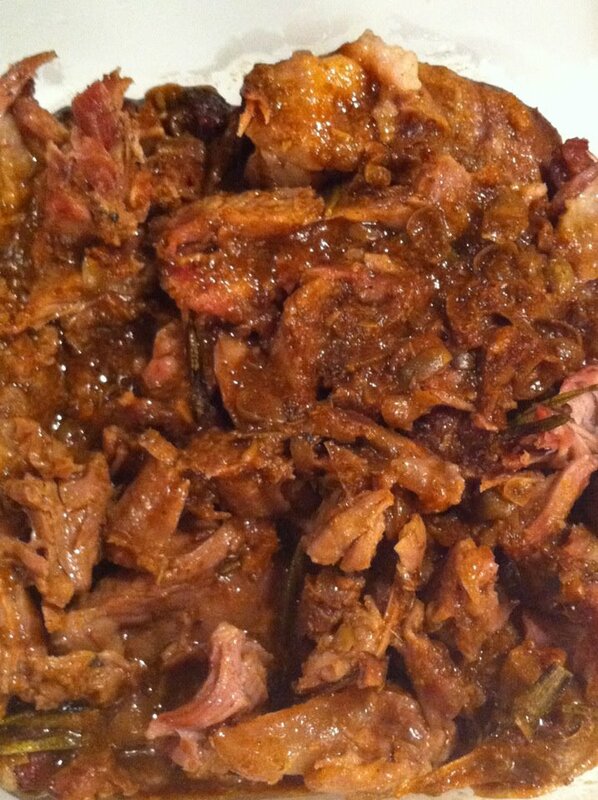 I cooked this on the low setting of my slow cooker for 7 hours. When finished cooking, I made a reduction out of the juices/sauce from the bottom of the slow cooker by pouring first into a measuring cup and separating off the fat from the top and then pouring into a sauce pan and simmering until delicious (until it was reduced to about 4 tablespoons) and then drizzled the sauce reduction over the ribs. The result – perfectly fall of the bone delicious ribs. This was one of my favourite salads ever. 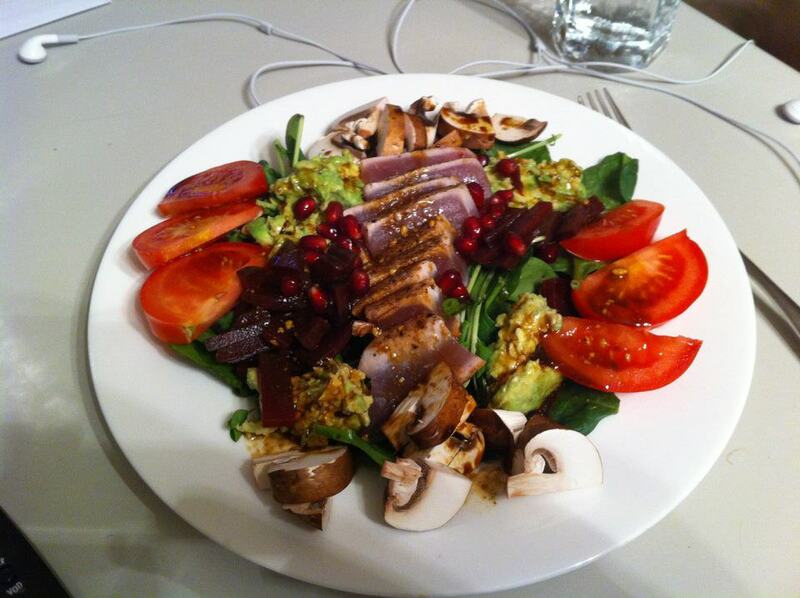 Seared tuna, guacamole, tomato, mushrooms, spinach and pea shoots topped with a home made tamari, olive oil, cayenne pepper and dijon dressing. Saute onion in coconut oil in large pot over medium heat (I did this til starting to caramelize). Add garlic and saute a few more min. Add in mushroom and cook til mushrooms are soft. 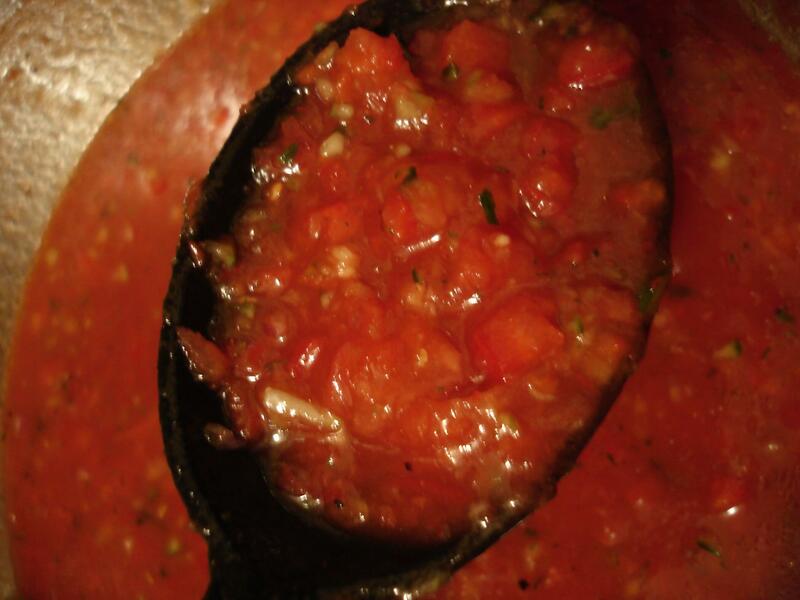 Reduce heat and mix in tomato paste. Simmer on low heat for an hour to two. Add about 2 tsp cocoa powder partway thru. Whose having a party? Because I’ll be bringing the kale chips. Baked at 150 degrees for 3 hrs. Works well but a bit time consuming. Dressed with sea salt, pepper, lemon, and olive oil. Happy humpday! 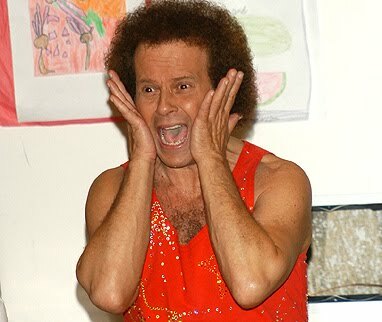 I took some gf ground beef and a package of sausage out of the freezer this morning with no real plan. Got home from the gym with no real cooking motivation, and threw this together with what I had on hand: Mexican meatloaf! 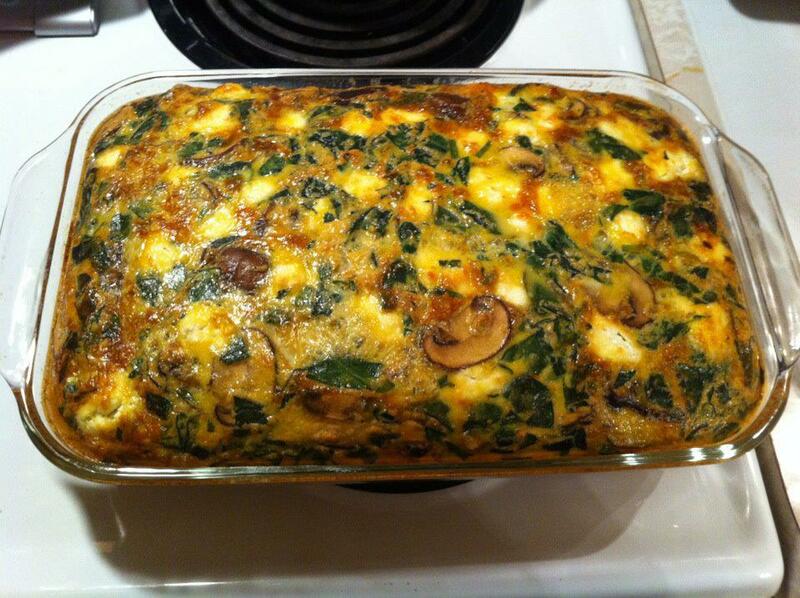 Turned out pretty darn tasty, and will surely help you PR your deadlift. Remove sausage casings. Mix all of the above and put in a loaf pan. See how it fits just perfect? Oven at 350 for an hour. Mix and heat for about 15 min. I added half to the top of the loaf about half an hour in and saved the rest for the side of my plate for reheats. 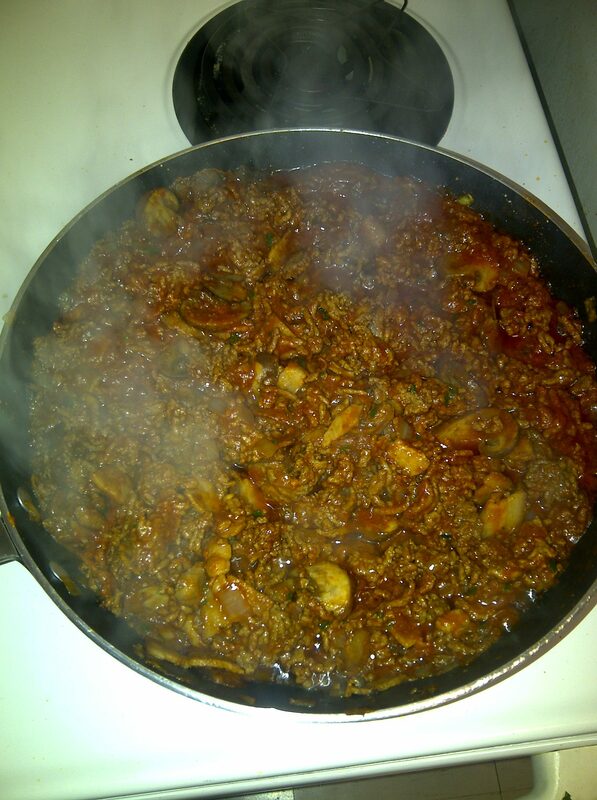 Note: Since the sausage I used is pretty spicy and zippy, I didn’t add any other seasonings to the meat mixture. 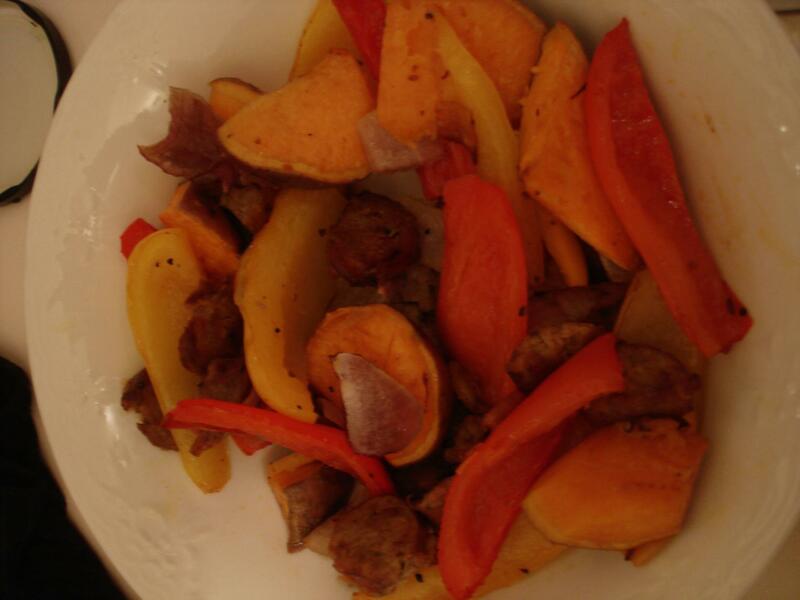 If you try something like Italian Sausages, maybe add some of your own spicy zip. Ole! Loved Jason’s idea of zucchini spaghetti and everyone’s variations on it. 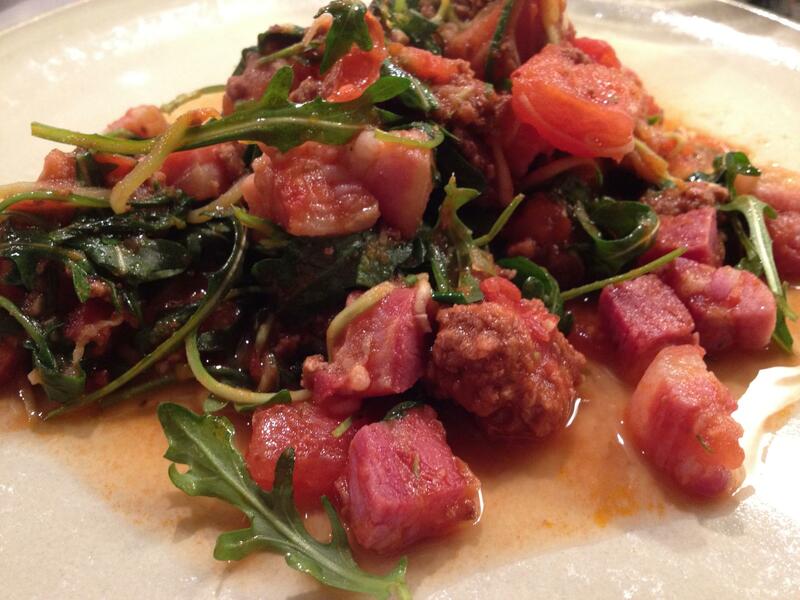 This version has some diced pancetta, vine tomatoes, arugula as well as some left over ground beef. I love eggs but don’t like choking down plain hard-boiled eggs when I need a portable protein snack. 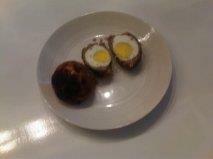 These are a super easy adaptation of scotch eggs with no breadcrumbs or other haute mess ingredients. 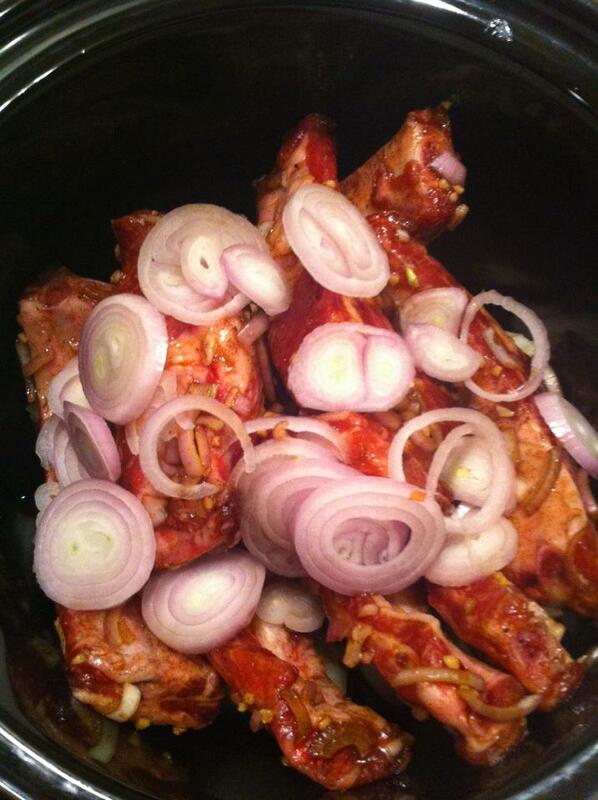 put your pork and spices in a mixing bowl and mix it up with your (clean) hands. grab a handful, flatten it in your palm, add an egg and wrap it like you are making a snowball. Bake for about 30-35 minutes or until it gets crispy and brown. I have jury duty next week and intend to bring these in the hope that being the smelly egg woman will get me excused quickly. That’s it for this week! Stay tuned for next week’s recipe round-up!! Ok this was from Friday night and was relatively mundane but so delicious I have to post it. Basically meat sauce with zucchini spaghetti, idea I shamelessly appropriated from Jason and am keeping. Basically I just sauteed bacon, onions, garlic and mushrooms, added the beef and spices until cooked through, followed by tomatoes. Picture is sans zucchini. I was going to pour the sauce on top of the noodles but then decided that was too much work (I know, that lazy) and mixed it all together into one big pot of delicious. Only took 15 minutes to put together, so will definitely be making it into the staple category. Mix together almond flour and egg white so that the almond flour is damp but not overly wet and spread over the bottom of baking dish (I used a 9 X 13 pyrex dish). Bake in oven for 8-12 minutes at 375 until crust hardens. For the filling, I started by cooking the shallots and mushrooms together in coconut oil and then steamed the spinach and chopped it up into small pieces seasoning with salt and pepper while cooking. Beat the eggs together and add the almond milk. Add a few spoonfuls of the veggies and mix together. I added them slowly and missed because i didn’t let them cool and didn’t want the eggs to cook before it hit the oven, but if you let the veggies cool I don’t think it would be a problem. Not sure how much of a problem it would have been anyway but the baker in me always says if you are adding hot things to egg, do it slowly. Once everything is added together to the mixture, pour it on top of the crust and bake in oven at 375 for 40 – 45 minutes until firm. I finished by dividing into portions and wrapped them in saran in individual servings. Cooking for one means I left a few servings out and froze the extras individually ready to be taken out as needed! Slow cook one smoked ham hock from pastured pork in broth, with a chopped onion and garlic, some Frank’s Hot sauce for a few hours. Add two bunches of chopped collards for another few hours. 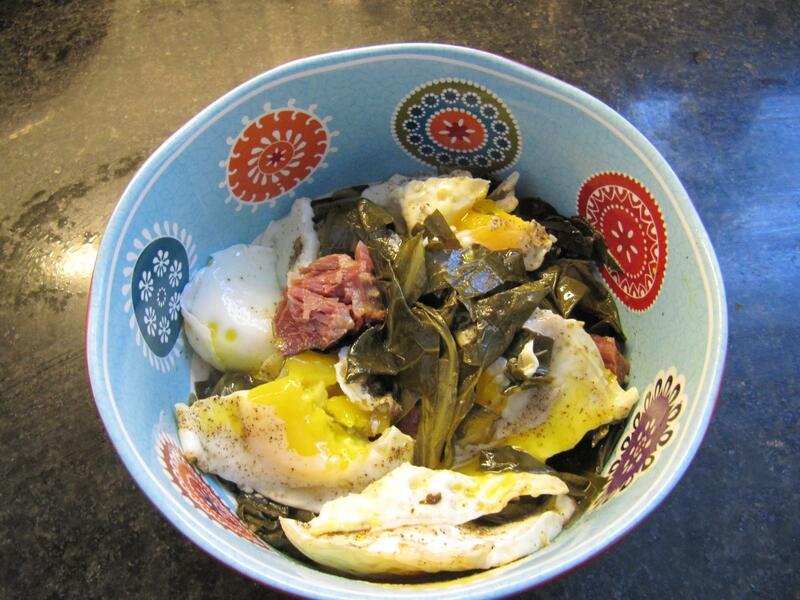 Remove meat from bone and if you like serve with eggs. Made this in maybe 20mins…toss it all together and used some spare pureed cauliflower from last night to put it in the center of. Just finished watching a flick that was based in Hawaii (The Descendents), made me think of volcanoes I guess when I fired this together. The best part of this is the crispy skin (crackling). 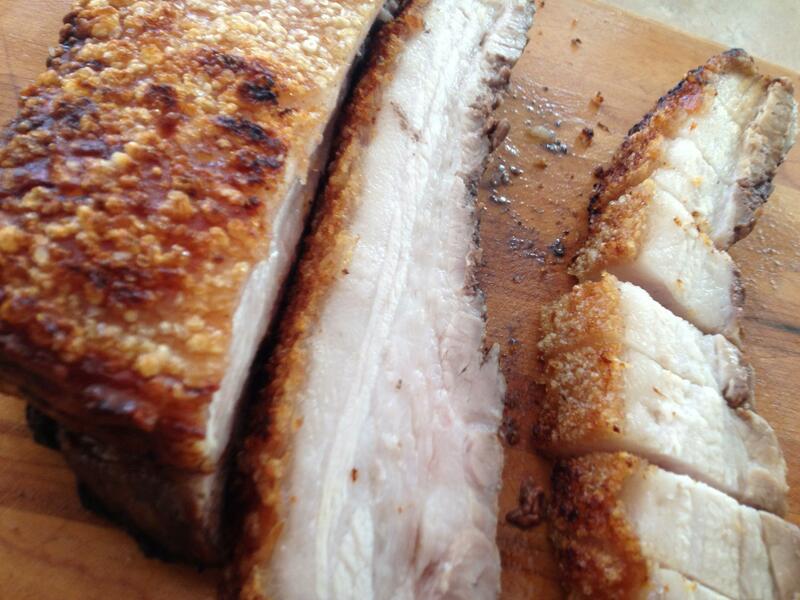 That is what you are striving for when you’re cooking a slab of pork belly for Siu Yuk. 10. Flip back onto an oven tray skin side up. Wipe up any moisture or marinade that is left on skin surface. You want it to be completely dry. 11. Cover with plastic wrap and refrigerate for 12-24 hours. 2. Prepare a roasting tray with a rack raised 2-3 centres. I use four small metal ingredient cups placed under the rack. 6. Take the roast out and flip the belly to be skin side up. 7. Stab some more holes with a sharp knife. 8. Sprinkle some coarse kosher salt on top and place back in oven for 15 minutes. 9. After 15 minutes, raise temp of oven to 430 C.
10. After 15 minutes, turn your broiler on to high. 11. Watch for the skin to crackle/crisp up to a golden colour….it is ok for it to burn a bit. 13. Using a butter knife, you can carefully scrape off the burnt areas. 14. Let cool a bit and then cut up into small rectangular bite sized pieces. 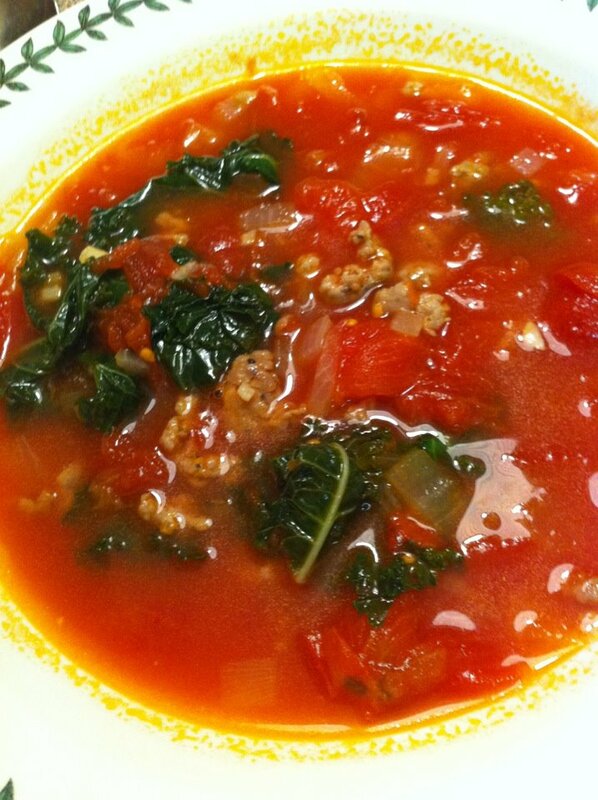 Stupid cold just doesn’t want to go away so here’s what’s for dinner: a hearty sausage and kale soup. Quick, easy and delicious! I love tomato based soups. I teach an all boys class. I am tired a lot (all) of the time and like to have as many ‘sides’ ready to go as possible. There are different ways of making your own tomato juice but I used a bottle. Roughly chop the cuke, bell pepper, tomatoes, and red onion into 1 inch cubes. Put each veg separately into a food processor with steel blade and pulse until coarsely chopped. Do NOT overprocess! After each veg processed combine them in a large bowl, add the garlic, tomato juice, vinegar, olive oil, salt and pepper. Mix well and CHILL (the mixture) before serving. The longer is sits, the more the flavah develops! This is less of a recipe and just more of a cooking technique. I love oven roasting my bacon. No spattered cook top and it turns out perfectly every time. 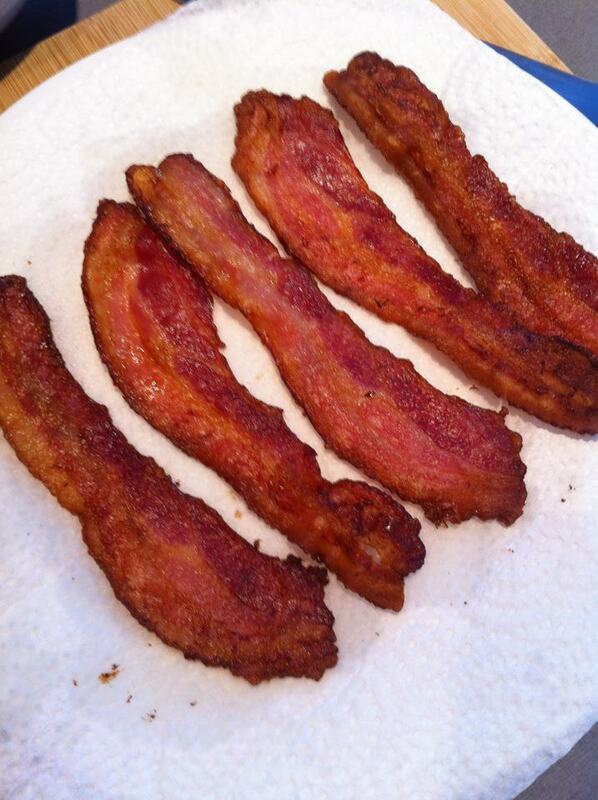 Lay bacon on a foil lined baking sheet. Place in a cold oven and set to bake at 400 degrees. Set a timer for 16 minutes. At 16 mins. Take out and flip. Bake for another 2 mins then check on it. Cook another minute or two depending on how crispy you like it. Keep in mind it will also crisp up a bit more when placed on paper towel for a bit. It’s important to use a timer as you will get it right every time and it leaves you free to prep other food without forgetting what’s in the oven. One last note, if you usually have thin sliced bacon you may want to reduce the initial time to 14 or 15 mins until you see how it cooks. 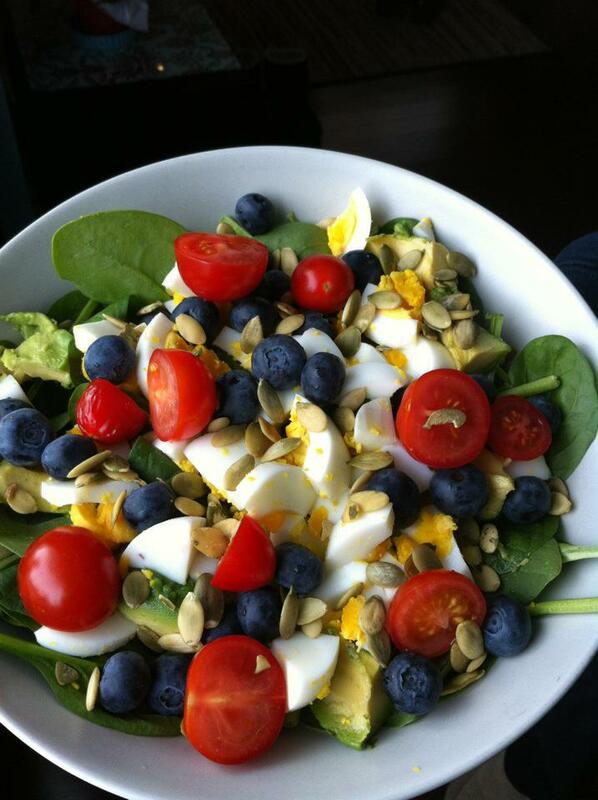 Breakfast salad: baby spinach, cucumber, avocado, tomatoes, chopped hard boiled eggs, blueberries and raw pepitas. Stay tuned for more GET REAL recipes next week!! , mix all the stuff together, pack the 12 slots on a muffin tin. Toss it in oven at 300 for 15 mins or so and flip over in muffin tin once with a fork. Directions: Toss the stuff in a stir fry pan with 2 Tbsps of coconut oil, along with onion, ginger, garlic, and mushrooms. Then coconut milk, tomatoes and curry powder. 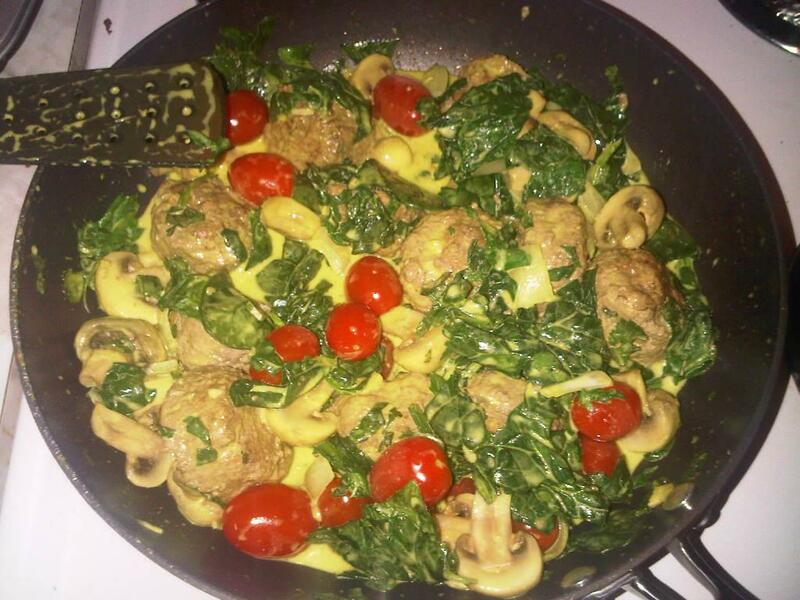 Spinach and cilantro go in when you take meatballs out of oven. Throw it all together and you’ve got yourself a magical meal. – Prep it all first, then start cooking. – Turmeric stains like red wine on white carpet at a Twister party. Beware! Plastic utensils, countertops, containers, fingers, you name it. It’s also really good for you. – Replace the oil using whatever your Paelo-ness level dictates. Use the full 1/2 cup though, as the it remains in the pan to fry the onions etc. – I left the skin on the chicken (out of forgetfulness vs. savvy adaptation). It still worked, it just sticks to the pan a bit. I also just used thights & legs. I’m not a breast man. – Use the individual spices (and fresh coriander a.k.a. cilantro & ginger), it makes a difference. On the other hand, buy the Garam Masala premixed at a store, or just leave it out. I also used chili flakes instead of hot red pepper. You can get chopped ginger in a jar, or grab a knob from any supermarket – use the back of a spoon to scrape off the skin. – I leave out the yoghurt now, and it’s still @#%&ing good. I served it on Cauli Rice, which I finally tried making in the Magic Bullet. It was @#%&ing magic. – I always forget the lemon, so you may as well ditch it. 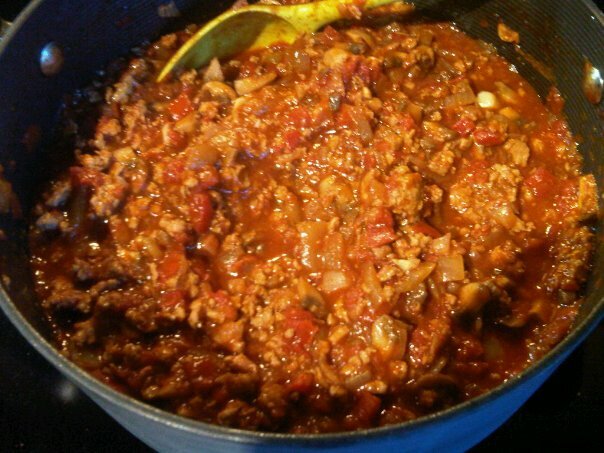 – Use a big skillet with a lid. It’s the only pan you’ll need. 1. Pat the chicken pieces dry with paper towels and sprinkle them with 2 teaspoons of the salt. In a heavy 10- to 12-inch skillet, heat the oil over high heat until a drop of water flicked into it splutters instantly. Add the chicken and fry for 3 or 4 minutes, turning the pieces about with a spoon until they are white and somewhat firm. Transfer the chicken to a plate. 2. Add the onions, garlic and ginger to the oil remaining in the skillet and, stirring constantly, fry for 7 or 8 minutes, or until the onions are soft and golden brown. Reduce the heat to low, add the cumin, turmeric, ground coriander, red pepper, fennel and 1 tablespoon of the water, and, stirring constantly, fry for a minute or so. Stir in the tomatoes, 1 tablespoon of the fresh coriander, the yoghurt and the remaining teaspoon of salt. 3. 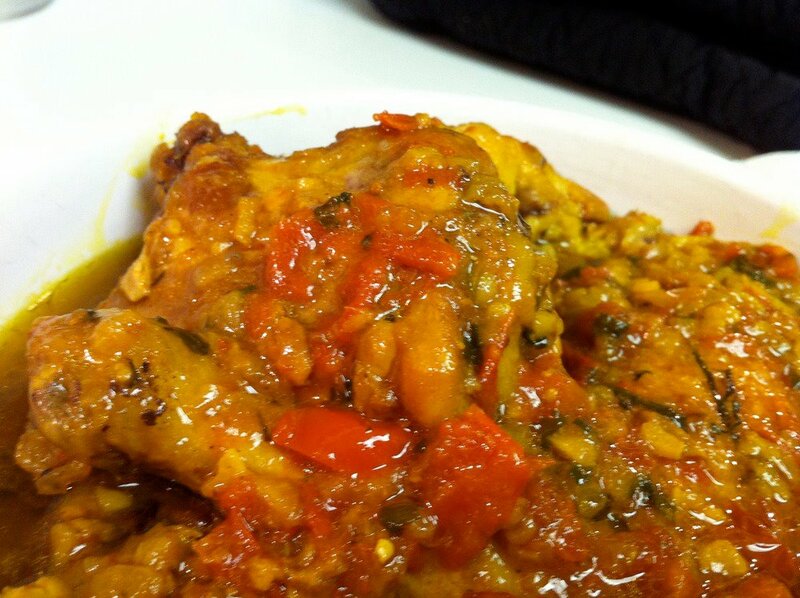 Increase the heat to moderate and add the chicken and any juices that have accumulated in the plate. Pour in the remaining water. Bring to a boil, meanwhile turning the chicken about in the sauce to coat the pieces evenly. Sprinkle the top with the garam masala and the remaining tablespoon of fresh coriander, reduce the heat to low, cover tightly, and simmer for 20 minutes, or until the chicken is tender but not falling apart. To serve, arrange the chicken attractively* on a heated platter, pour the sauce remaining in the skillet over it, and sprinkle with the lemon juice. *I love these home-maker directions calling out to us from 1969.
no picture, but I’m sure it will make you do this…. I just made a pot of easy seasonal deliciousness (that turned out kinda borscht-ish), so I thought I would share. Food processor required or it is no longer easy! Ingredients: Shred or thinly slice: leeks, carrots, a sweet potato, shallots (or onions), fennel bulb, beets (I used golden because I’m fancy). Sauté the leek and shallots in a big knob of gf butter or ghee, add other veggies after that magical thing happens when butter and leeks get together over some heat. Throw in some garlic, a litre of veggie stock (and some water if you need more liquid), and 1 or 2 craploads of dill (bonus points if you have fresh. I used dried) and a can of coconut milk, salt and pepper. And probably more dill. I like one pot meals, so I mixed and egg with some dill and garlic and s&p and made teeny meatballs that I dropped right in the simmering soup to cook. It’s pretty boss, you guys. 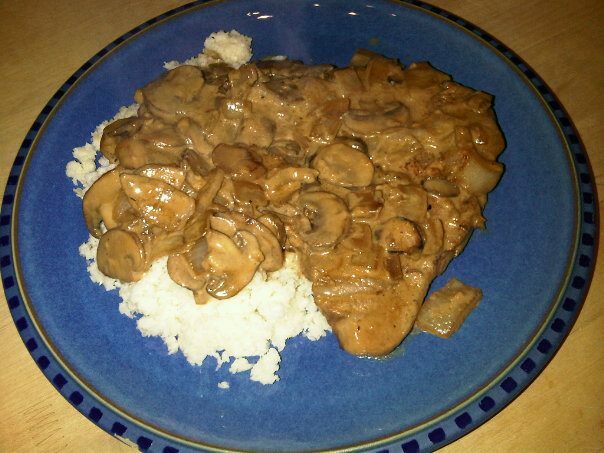 Directions: Fry some onions, garlic, & LOTS of mushrooms, remove that & brown the chops, throw it all back in and add a cup of coconut milk and mustard powder, S&P, simmer covered for about 10-15min. Serve on cauli-mash. Throw everything in a steamer until soft (really soft – mine was a little too firm and I ended up with a cross between cauli-mash and cauli-rice), then toss into food processor with a couple nubs of grass fed butter. Some nutmeg and pepper to taste. Process until really smooth. 1. Shred cabbage and carrots and onion in food processor. 2. In another bowl combine other ingredients. 3. Slowly add resulting mix to ground veggies. Fry chopped Gai Lan in coconut oil with garlic and salt. Mix in bowl, made four patties. I would have added more meat in the form of bacon if I did this meal again. Original Recipes made paleo from old recipes. Crossfit Quantum GET REAL Challenge Winners! The KING of the GET REAL Challenge is the amazing Alber!! Alber is working father of 2 who joined Crossfit Quantum a couple months ago – he jumped into the challenge with gusto and posted one of the most amazing transformations that we’ve seen to date. Dropping 18 pounds, he practically shed a small person and gained a whole lot of compliments from everyone who was along for the ride. Check out Alber’s transformation below – Do I even need to tell you which one was the before? I asked Julia and Alber a few questions about the challenge to share their advise and experience. What the challenge has done for you? Julia: This challenge has taught me about self control with food. I thought before I had good control but while on this challenge I was able to test myself by being around large quantities of my “favourite bad foods”. Just because I want it, and it is available, is no reason to dive in and eat it. The self control aspect of this challenge was so difficult but in the end really rewarding. Alber: The challenge has taught me how to treat my body with respect so that it rewards me with high levels of energy, physical power and mental confidence. I learned what real food is and how the conventional North American diet fails us on so many levels. I believe eating real food is the best way to allow my body to perform at its most optimal level, to be able to grow in strength as well as health and get closer to my top potential. Did you find it easy or hard to stick with it for 6 weeks? Julia: During the week and while at work it was not too difficult, I just had to be on top of planning meals and not leaving myself hungry while out in a public “tempting” atmosphere….Nurses LOVE sharing food and patients LOVE bringing us all sweet treats, which was hard at first. The most difficult part of this diet was going away with friends for a weekend, or watching a sporting event at a pub. Those places were torturous for my greasy fat filled taste buds. Alber: I found it hard to eat only real foods for the 6 weeks. I had to deny on numerous occasions my desire to eat sugary and carb loaded bad foods because I was dependent on them before. However the motivation to eat REAL was always there, and with proper science backing up this new idea of “real food”, I was never de-railed from my goal to eat properly. Where did you see the biggest improvement (how you look, feel or stuff at the gym?)? 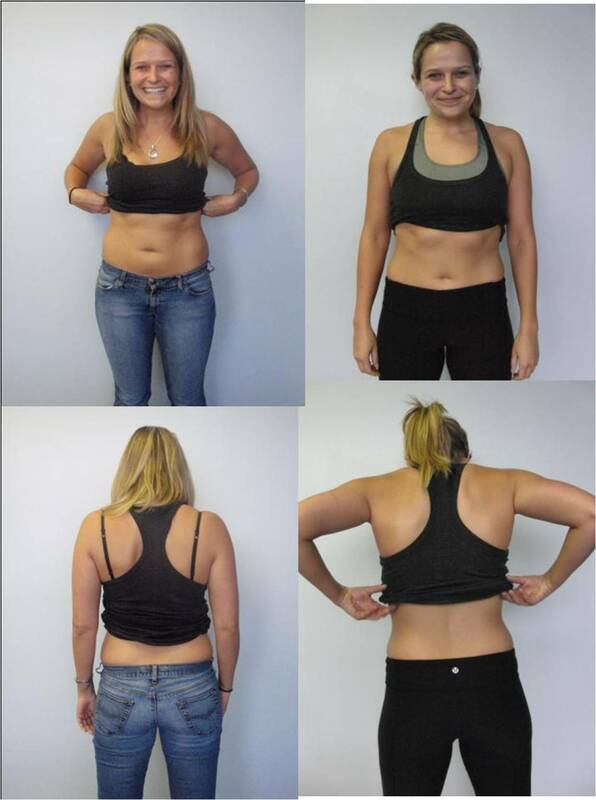 Julia: I am not too sure if I saw any concrete improvements at the gym, that we would have to ask the CFQ crew to see if they noticed a difference (insert Summer’s comment: I saw you clean #110 the other day…I’d say you’re rockin it at the gym! 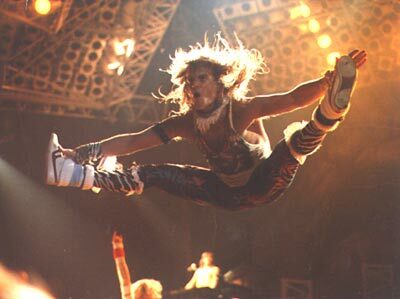 ), however I did feel WAY more energized in the morning. I would wake up and feel awake and refreshed, instead of the usual lethargic and hazy feel. My quality of sleep was definitely better and in so my energy in a day was higher than before. Alber: I saw the biggest improvement on how I look. I gained new muscle and lost fat. I also gained strength throughout my body, which goes hand in hand with the increased muscle. I can lift more, jump higher, skip better and all other movements have improved; but we are forever in our own skin, so the reminder of how I look better is the predominant improvement. Summer: I love that you both mentioned how you FEEL and PERFORM better. It goes WAY beyond just dropping some excess lbs and translates into every aspect of your life. Yay! Are you going to keep up with the lifestyle? Alber: I will most definitely keep up with this lifestyle. I now feel guilty just thinking about eating grain products like bread and pasta because I know the health problems it can cause in both the long and short term. Sugar is harder for me to stay away from and I have to try harder for me to resist that temptation. But I look at grains, legumes, dairy and sugar now as one would look at regular excessive drinking or chain smoking: being detrimental to my health. What is your advice to other people looking to GET REAL? Julia: PLAN PLAN PLAN. For the first few weeks making sure you are never left hungry or eating the same ol meals. Searching for new recipes and being able to 100% say no to any food temptations for the first month. Alber: My advice to others is to educate yourself on what you are putting in your system and ask hard questions about where the ingredients in your food come from, and learn what your body really needs to thrive. Don’t give your body less or more then it needs. Find out what the happy medium between hunger and overeating is, and which REAL foods you like because that will help you reach a new controlled and planned out way of eating that will last forever. Get a slow cooker, get lots of new spices, start experimenting with easy recipes and try new real foods that seem fun and tasty to you. 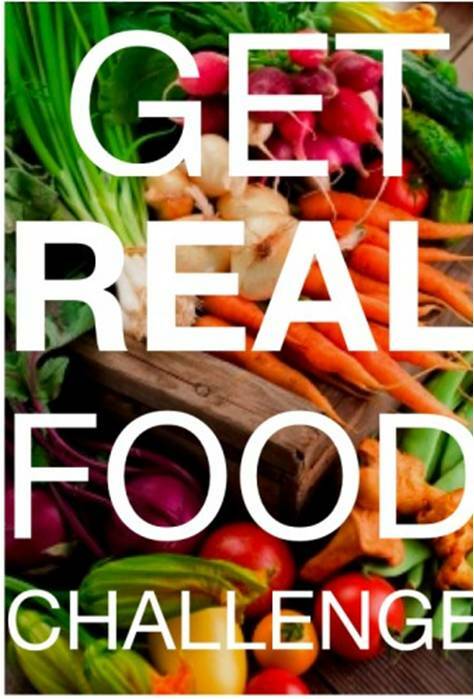 What was your favourite REAL food to eat? Julia: Sounds so lame but tuna was a new food I discovered while doing this challenge. So easy and filling and you can put anything with tuna to change up the taste. And lets face it, the Healthy Butcher is pricey but the quality of meats I was eating was WAY more tasty….mmm meat…so yummy! Alber: It’s hard to choose a favourite REAL food but I love sashimi, steak and broccoli. I eat raw broccoli almost everyday, and for protein I love eating a tenderloin steak or fresh raw fish. I know I’ve been quiet with posts and especially recipes lately….this is because I have been working hard on bringing my dream to life. I am thrilled to announce the official launch of Haute Life nutrition coaching!! I am channeling my nutrition smarts and CPG sassiness to help people achieve their goals. Want to know more? Don’t know what Haute means? And you can find my services here. Big thanks to Crossfit Quantum for partnering with me on this journey! Don’t worry, Cosmopolitan Primal Girl is not going anywhere! This blog is so important to me and I will continue to bring you advice and recipes….now with a Haute touch. Congrats to all the CFQ Spring Leaners!! Today marks the monumental close to Crossfit Quantum’s Spring Leaning 2010! I would like to give a huge congrats to all the challengers who stayed strong until the bitter end. It was not an easy 7 weeks – with weddings, birthdays, bachelor parties, trips to LA and Ireland – but you all stayed on track and I’m so proud. You should be really happy with yourselves. The winners will be announced on Friday once we’ve had time to review the pic’s and measurements. I’ve already seen some big losses, so it’s going to be a close competition. 2 people are going home lean in the waist and heavy in the wallet. The suspense is killing me!! Be diligent with your meal planning and grocery shopping – don’t get lazy and decide you’re going to forgo food prep for the week. As soon as you decide you’ll “just grab takeout for breakfast and lunch this week” instead of making it, you’re putting yourself at risk for getting back into old habits. It only takes an hour to prep a bunch of good food to keep you going throughout the week. Don’t forget the 80/20 rule – Aim for 100% perfection and net out at about 80%. This should allow you to maintain a social life and not go insane. Be aware of what 20% really means….it’s really only about 2-3 meals per week. Keep it clean as much as possible! Cheat smart – I’ve said this before and it needs to continue. Don’t go on a bender and inhale a huge cake and pint of ice cream. You can undo your hard work so much faster than it takes to reach your goal. Save your cheats for something cheat-worthy, like a piece of homemade cake from my mother-in-law. Not a soft serve from McDonalds. Better yet, try to reach for a ‘paleo-friendly’ dessert like my strawberry-rhubarb crumble instead of the sugar, gluten and processed crap. Be creative – It’s easy to fall into a trap of eating the same 5 meals every week and this can lead to cheating and cravings because you get bored. Seek out new meats, veggies and recipes to keep things interesting. It only takes 5 minutes to whip together a marinade that will make your chicken kebabs so much more delicious and interesting. Spread the love – people are surely going to notice that you’ve shed some lbs (semi-primal husband is getting complimented like crazy! I’m going to have to carry a taser to keep the ladies away from him. )….tell them how you did it! Celebrate and share your successes in order to keep you motivated to stay on track. Be proud of your accomplishments! Spread the love by bringing a paleo-friendly dish to a dinner party to show your friends that it doesn’t have to be boring or weird to be delicious. I brought a cabbage slaw and this sweet potato pie to a dinner party I was invited to last week…it was a big hit and no one realized it was Paleo-friendly. Set some more goals – set a new set of performance or body goals that you want to focus on until September. Keep going throughout the summer and give yourself a new challenge to work on. I’ve got to do this myself. Don’t forget to write it down! Reflect – This process has probably made you realize some interesting things about yourself. Take note of those things and remember them. If you started performing better at the gym, slept better or had less cravings, fit into your booty-shorts etc etc, then remember that. It was likely a result of your nutrition. Save it as a reminder to help you continue with your clean eating. Personally, I’ve learned a few things about myself through this process. Going 30 days with no cheats, no wine or dairy is not easy. But, I made it through with 100% paleo perfect for 30 days and I didn’t need to stay under house-arrest. I’m also happy to report that I didn’t kill anyone or ruin my marriage! I was shocked that it wasn’t the desserts that I missed, rather it was the wine that I really missed. Having a nice steak dinner on a Saturday night just isn’t the same without the wine pairing. My crippling cravings for dessert have subsided and I’m able to be around cake without wanting to rip out my eyeballs. The results really surprised me because I thought my diet was already pretty squeaky clean – I hit PR’s across all my lifts (except Press) during the challenge. I got my 5 dead hang pull-ups and 1 hand-stand push-up. The scale might not be going down for me, but all my other numbers are going up and I couldn’t be happier. 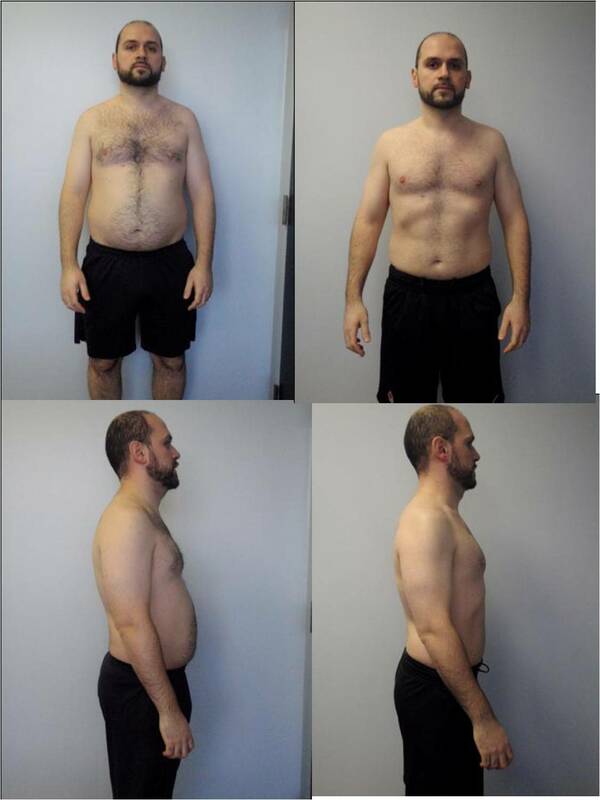 Of course, this is also a testament to the amazing programming and coaching at Crossfit Quantum – awesometown it is. Big congrats to all the Spring Leaners and cheers to a fantastic summer! !